How much does your website matter? I heard once that it is normal to be ashamed of the first version of a website. I still remember our first version. It was definitely bad… By the time I decided to rebrand, the website was already at its fifth version, but it still lacked many key features that I desired for the level of customer service that I wanted to provide. At the time, the website was built using a web building service provider called Moonfruit. It was once a big player in the industry, but now it’s struggling to compete with new players in terms of features and design. I remember deciding to build a website with no web building experience or any knowledge of e-commerce. So when I discovered Moonfruit, I was very excited and immediately jumped on it. Its drag and drop features allowed any web dummy to build a website. That’s its strength. However, I quickly grew out of it and the limitation of Moonfruit, especially around shopping cart, became apparent to me. In time, I discovered Ecwid, an e-commerce plugin that would work with any website. It felt perfect at the time, because I wasn’t going to dump all the hard work that I had put into building the Moonfruit site. I spent a week building my Ecwid shopping cart from scratch, and then installed it into my Moonfruit site. Soon I discovered that Moonfruit was limiting the features that Ecwid offered. It was a dead end. I made to make a hard decision. Time for some research. This time, I really did my research, instead of jumping at the first thing I discovered. I read many articles comparing major e-commerce platform providers, and weighed them against one another in terms of the features that I needed and the prices. After some research, I decided to give Bigcommerce a trial run. You might ask why I never considered engaging a website builder. The simple reason is that I couldn’t afford to. After 10 months of a steep learning curve, I was also in a position that I understood what I wanted and a rough idea of how to get stuff I wanted. As it turned out, Bigcommerce was perfect for my situation. It offered many features that I desired, like a wish list, mobile optimisation, gift coupons, customer rewards program and a Facebook shop. The price structure was also suitable, with no transaction fees and a competitive monthly charge. It also offered access to all backend html and css codes so potentially I could fully customise the store. However, I think I would have struggled with Bigcommerce when I first started about 10 months ago without any web building experience, because it is harder than ‘drag and drop’. But at this point in time, it was perfect for me. One good thing about Ecwid was that I could export my products to a csv file and then import it to Bigcommerce. Although not all information was automatically transferred this way, it did save me considerable time and effort. I was again on a steep learning curve because I had no idea about CSS or HTML. Luckily though, I’m a quick learner and I really enjoy learning. Google became my best friend, and I quickly got a website up and running. So far the feedback has been great. I’d love to hear your feedback! Please visit www.ozfairtrade.org and let me know your thoughts! Coming soon: How to rebrand an e-commerce store (Part IV) – How much does social media matter? Like many people, I’m a Google addict, and I’m a happy addict. Now I’m going one step further. 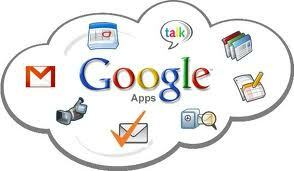 I’m trying Google Apps for Business. In time, I’ll report back on my experience.